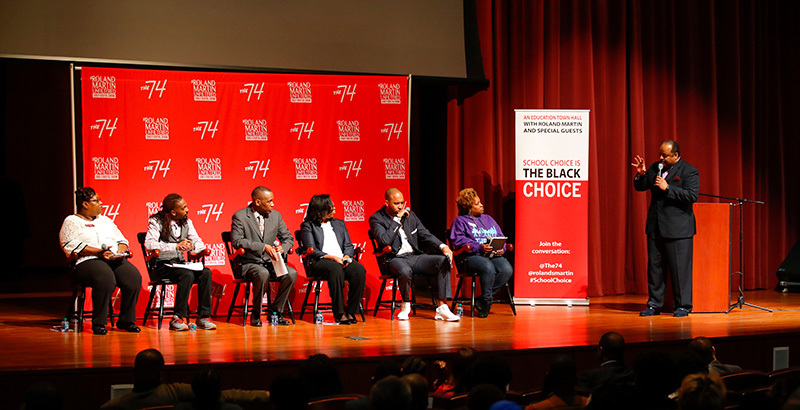 Journalist Roland S. Martin led a group of African-American education leaders in a wide-ranging conversation about school choice Friday at Morehouse College. The robust discussion touched on school funding, charter school accountability, parent empowerment, and other topics, lasting more than two hours. 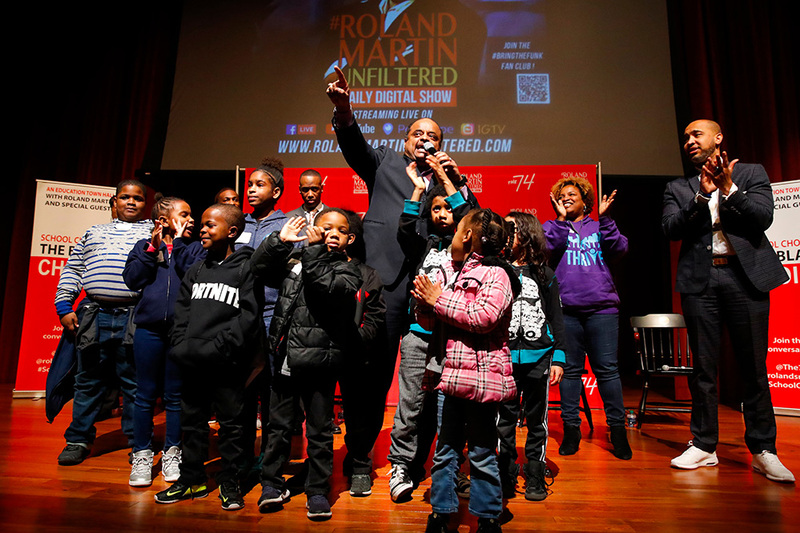 The tour is being organized in conjunction with The 74’s newest online platform, Keeping It 100, which prioritizes stories, profiles, and essays about how schools across the country are serving students and families of color. Throughout the program Friday in Atlanta, Martin pushed the panelists and community members to think about what they can do to improve education in Atlanta, even when it includes controversial measures like school closures. The event started and ended with a partner networking fair that included education groups from Atlanta, including Better Outcomes for Our Kids, EdConnect, Genesis Innovation Academy, GeorgiaCAN, Georgia Charter School Association, Ivy Preparatory Academy, State Charter Schools Commission of Georgia, UNCF, American Federation for Children, Teach for America Metro Atlanta, Urban League of Greater Atlanta, Resurgence Hall Charter School, and Engineering for Kids of Metro Atlanta. 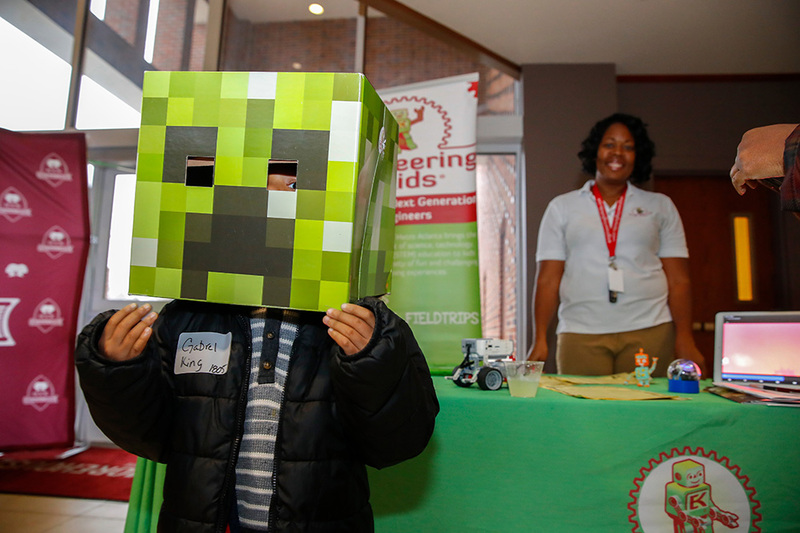 National partners for the event include the American Federation for Children, EdChoice, ExcelinEd, J. Hood & Associates, the National Alliance for Public Charter Schools, Progressive Policy Institute, the UNCF, and the Walton Family Foundation.